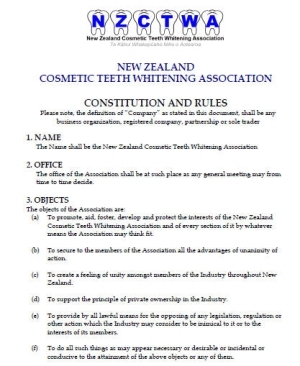 The New Zealand Cosmetic Teeth Whitening Association is the professional trade association representing the New Zealand Cosmetic Teeth Whitening industry. We are your team fighting to preserve the practice of Cosmetic Teeth Whitening for Non-Dentist suppliers and practitioners by being at the forefront of legislative changes that affect our member OTC Suppliers and In-Chair Practitioners. 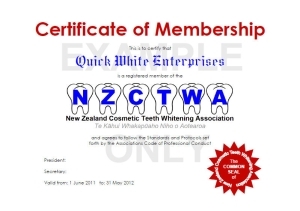 While NZCTWA Membership is not required to perform Teeth Whitening, we have found that many patients are more likely to undergo the procedure when their Teeth Whitening Practitioner assures them that they have been formally trained in how to perform the procedure, and are NZCTWA Registered Practitioners. The NZCTWA also provides Practitioner members with a world-class Practitioner training and resources. Training courses operate with the entire professional support of the Dentists, Chemists & Global Teeth Whitening experts of some of the World’s foremost Teeth Whitening authorities. 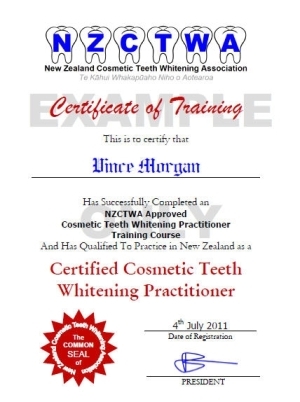 At the end of the NZCTWA Registered Practitioner Training course you will be awarded an attractive framed certificate and be able to promote yourself as a NZCTWA Registered Cosmetic Teeth Whitening Practitioner. 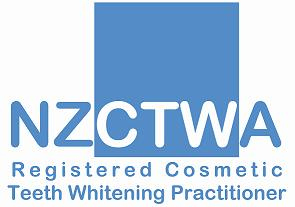 In addition, so long as you are a Certified Member of the NZCTWA, you can be Licensed to use the Registered Cosmetic Teeth Whitening Practitioner logo on all your marketing materials and on your website – now that will boost client confidence. The fundamental truth about our industry is that Cosmetic teeth whitening exists solely for beautification. Hence, it is not a dental or health treatment nor is it a practise of dentistry or health care; Legally, NZCTWA Registered Teeth Whitening Practitioners are not a Dentists, neither are you a Health Care Providers. Globally, both Dentists and Cosmetic Teeth Whitening products suppliers and practitioners of the Appearance Enhancement industry have shared teeth whitening for more than two decades, and it is our goal to keep it that way. 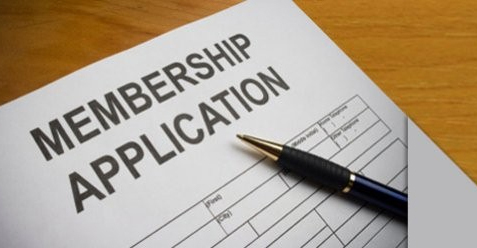 Why not join us today and make the most of your membership from day one by helping you to protect your business – imagine that just missing one new innovation could cost your business many times the membership fee. 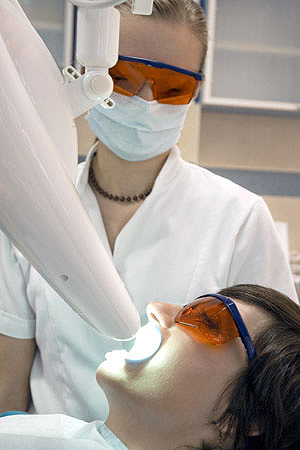 Promoting legislation to give Cosmetic Teeth Whitening businesses rights to practice, distribute and sell Over the Counter [OTC] cosmetic whiteners. Get information on new technologies and products. Coordinate media coverage and industry press releases. Learn the latest training and safety procedures. Up to date information on current products and services to increase clients safety, comfort and maximize their satisfaction. 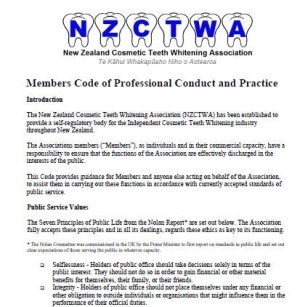 Membership is voluntary, and applicants with the highest standards, who wish to adhere to the New Zealand Teeth Whitening Associations Code of Conduct & Practice, will be accepted.